This tool will help you find your audience. If you go through all of the hard work of building a website, you should ensure it's being found by people surfing the web. SiteGuru SEO Reports helps you elevate your site's search ranking by checking for common SEO issues and giving you actionable fixes to make it more successful. A lifetime subscription to this service typically costs $2,400, but it's currently on sale for just $29.99. SiteGuru helps identify usability quirks and technical issues with your site. 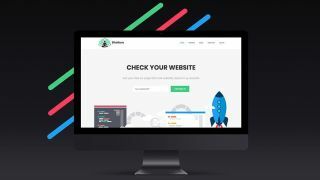 Once they've been detected, SiteGuru then helps you fix them, improving your website easily and finding more SEO opportunities, mobile friendliness, technical issues and more to make sure your site is the biggest success it can be. All you need to do is enter your website's address and you'll receive a report in just 15 minutes. From there, SiteGuru helps you take your site to the next level, and even gives you weekly updates on your site's status and how you can continuously improve. Snag a lifetime subscription to SiteGuru SEO Reports for $29.99 here.